Take a look around your pizzeria at what your staff is wearing. Are they free to wear what they want, or is there some attire that ties them all together? 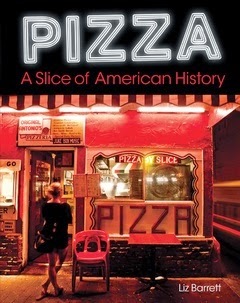 Many pizzerias have a laid back atmosphere, which can carry over to uniforms. Problems arise when that attire starts to get sloppy and/or when customers can’t tell the staff apart from the diners. While you probably don’t want something starched and stuffy at your pizzeria, you do want your staff to represent your business professionally, and that starts with their appearance. Modern uniforms come in all shapes, sizes, patterns and colors. They even come complete with hidden compartments to accommodate our attachment to the latest technologies. Curious about how uniforms are changing, I went to David Barr, vice president of Happy Chef, to find out what’s new in foodservice apparel, and he shared the latest trends, top-selling styles, tech-friendly options and more. The Pizza Insider: What are some of the trends you're seeing in foodservice apparel? David Barr: Current trends in foodservice apparel are moving in two directions, style and utility. More and more restaurants are looking to create an "overall look and feel" for their establishment. Choosing a uniform’s style, color, and customization is as important to the décor as seating space and menu ingredients. Apparel companies are now providing five or six different shades of blue so managers don't have to settle for buying something "close enough." And this isn't only happening in the kitchen. Front of house and back of house are now being coordinated with similar elements to tie their styles together. As far as utility goes, you need to constantly anticipate the needs of chefs, kitchens workers, and servers. Take for instance, chef coats. Those stiff, starchy whites aren't exactly the lightest material. These days, cooler is better. Airy fabrics, vented mesh, and moisture-wicking fabric are all used to keep uniforms as comfortable as possible. The important thing is keeping the crew cool so they can focus on cooking great food. The Pizza Insider: How has apparel become more tech friendly? Barr: The use of tablets as menus, seating charts, and POS systems in service is more popular than ever, and managers are looking for apparel that can accommodate those devices. There are now uniforms available with secure Velcro pockets that are sized for smartphones and tablets. Whether you want mobile devices out of the workspace and stowed away or you're taking calls and listening to music with built-in headphone ports, these uniforms let you control how they are used (or not used). 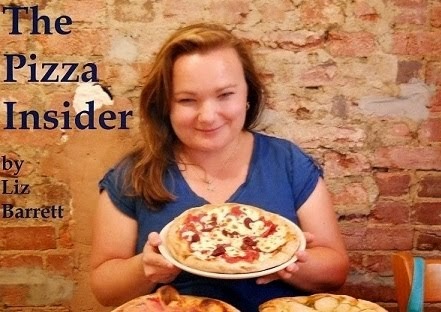 The Pizza Insider: What are the top-selling styles, colors and fabrics in foodservice apparel right now? Barr: The direction of foodservice apparel has moved toward comfort, fit, and performance. 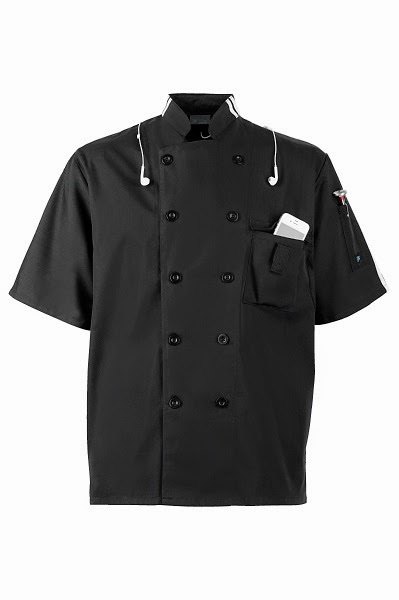 Short sleeve chef coats for both front and back-of-house are becoming the norm. 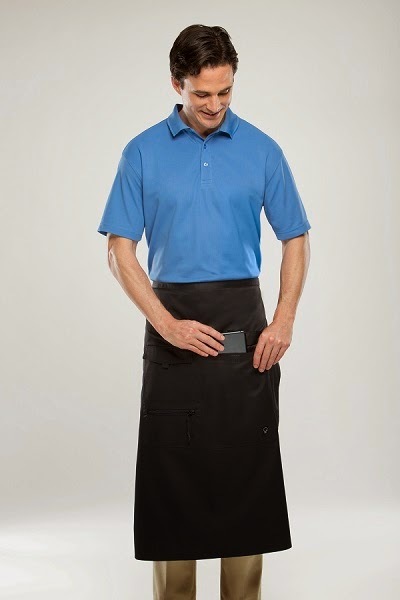 And with technology taking over the foodservice industry, coats, aprons, and pants featuring pockets that accommodate smartphones and tablets are also available. Colors will vary from the always popular black, to fun shades of green, orange, and blue, just to name a few. Lightweight performance fabrics have replaced the heavy twills that used to dominate the market. The Pizza Insider: What is the price range of apparel and do you have an opinion about who should pay for uniforms (employer/employee)? Barr: Prices will vary greatly depending upon fabric and style but the volume price points is around $12-$25 for coats and pants and under $10 for aprons and headwear. I firmly believe that the employer should absorb the cost of at least the initial set of uniforms. The only exception would be if you require a basic pant or shirt for your wait staff. If, for example, the employer’s dress code calls for a black pant and white oxford shirt for the FOH, then it would be appropriate to only provide an apron for that job function.